So the Galaxy Note 9 has been out for a little while, making the Note 8 old news. Right? Well that&apos;s what you would think. But the 2017 model is so incredible that it still performs just like a new model and not to mention it is so much cheaper than its successor. 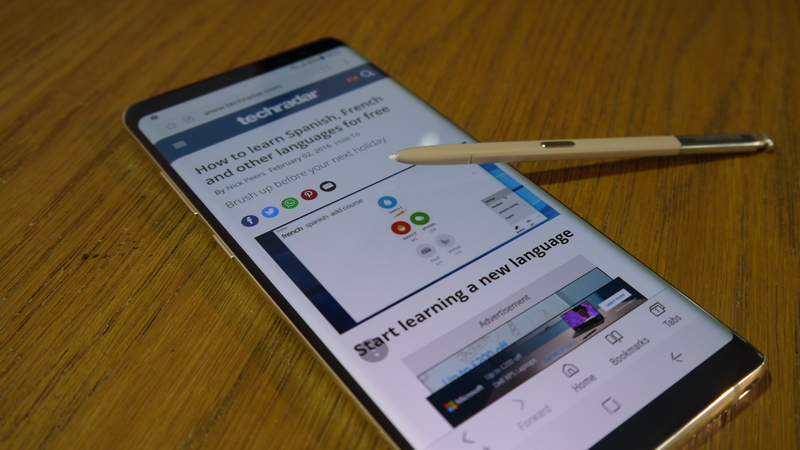 Samsung Galaxy Note 8 deals are definitely still well worth a look. And it&apos;s still getting cheaper! When the Note 8 first came out, EE had deals locked down tight but now there is a pretty good spread across providers, Although EE still does have some of the very best deals on this device - what else would you expect from the UK&apos;s fastest network. Samsung Note 8 deals are now under the £900-mark in total over the two-year contract and can go as low as £750, and our clear Editor&apos;s Pick now offers 30GB of data a month instead of 20GB. The Note 8 is not by any means a budget device, however. It&apos;s a absolutely massive smartphone, not just in size but also in raw power. It&apos;s got the screen size and specification smarts to be a competitor to the highly praised iPhone X or iPhone&apos;s new massive iPhone XS Max and neither of those come cheap. But there are now some excellent Note 8 deals floating around. Check out our comparison chart and handpicked favourite Note 8 deals below. Now we know some of you may have fiery memories of the Galaxy Note 7 in your head when looking at this device but leave those worries behind. Both the Note 8 and 9 have massively improved their batteries and you won&apos;t be facing overheating problems anymore. The Note 8 truly is miles ahead of the 7 in every way. Should I get the Galaxy Note 8 SIM free? The Galaxy Note 8&apos;s RRP has dropped massively recently to £649. That is much cheaper than it used to be but you will still be putting up a big chunk of money upfront. Even if you get the cheapest SIM card (usually around £4 a month for 500MB data), that would still cost near to £800 over the two years. You&apos;re probably better cranking up the upfront cost in our price comparison chart above, imposing a low maximum for monthlies and finding a cheaper deal in the long run. To get the best price on your new SIM free Galaxy, you can head to our cheapest unlocked Note 8 deals page. Wondering what all the fuss is about? Well the fervour for the Note 8 is probably doubled due to the fact that the Note 7 was pulled from shelves soon after release. But it doesn&apos;t take more than one look at the Note 8 to see that it justifies the hype. The huge 6.3-inch ‘Infinity Display,’ is gorgeous to look at, the 6GB RAM innards go like a train and there are two best-in-class rear cameras. It&apos;s expensive, but we think the Note 8 is worth it.